Looks like a bee, but it’s not a bee! 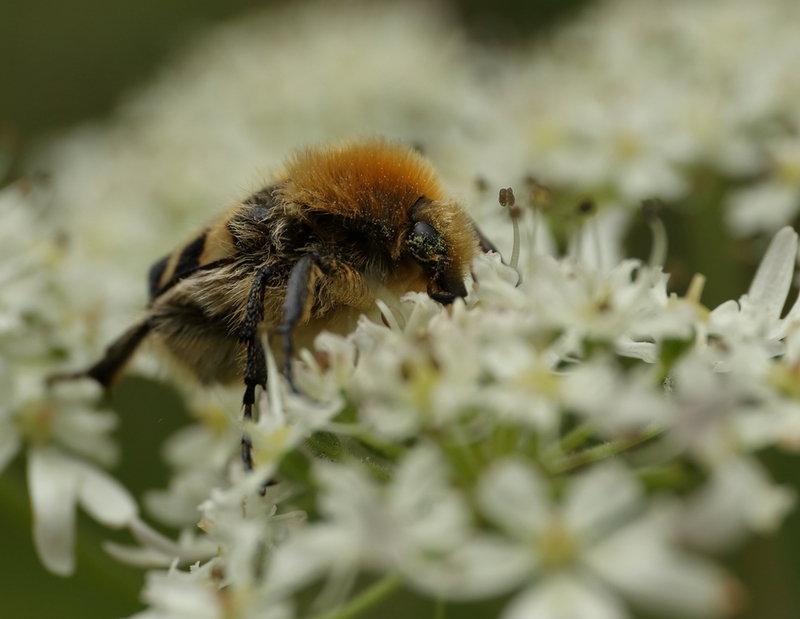 We spotted this beautiful insect near Rhicarn on 13 July 2017 and at first glance thought it was some sort of Carder bee, having no idea what it was we contacted Stephen Moran, our insect specialist in Inverness. 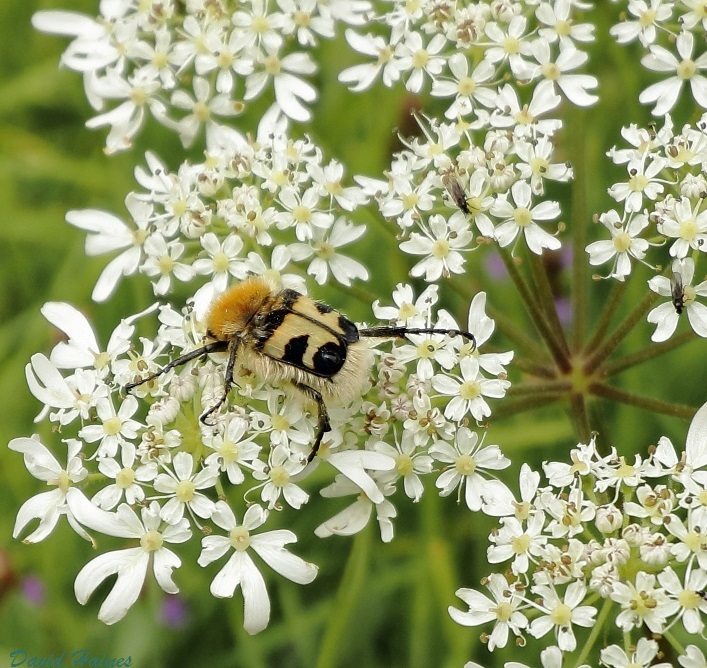 Stephen was delighted to inform us that it was a Bee beetle Trichius fasciatus. Beetles should(!) always be recognized as not bees by the presence of elytra, the hardened forewings, which protect the actual flying wings whereas bees have two pairs of thin, translucent wings, all of which are used in flight. 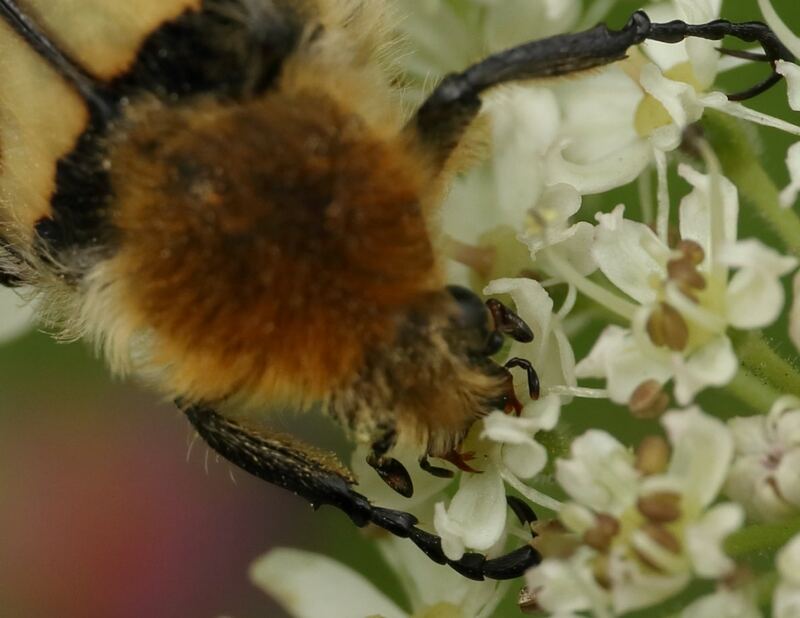 As its common name suggests this is a beetle that mimics bees, but why do that? Well, it’s a bit like a sheep in wolves’ clothing and is known as Batesian mimicry, which simply means something harmless is imitating something dangerous. In this case a harmless beetle is trying to tell a potential predator that it’s a bee with a dangerous sting and so it should be left well alone. This particular species is a scarab beetle and its larvae develop in rotting birch stumps. It is also a bit of a Celtic specialist with the vast majority of records coming from Wales and the Scottish Highlands. This is the second record ever of this Bee beetle species in Assynt and, by coincidence, the Highland Biological Recording Group (HBRG) has asked its members to look out for it over the summer; so far this is only the second report from the Highland recording area.